One great place to get fabric for costuming is thrift stores. 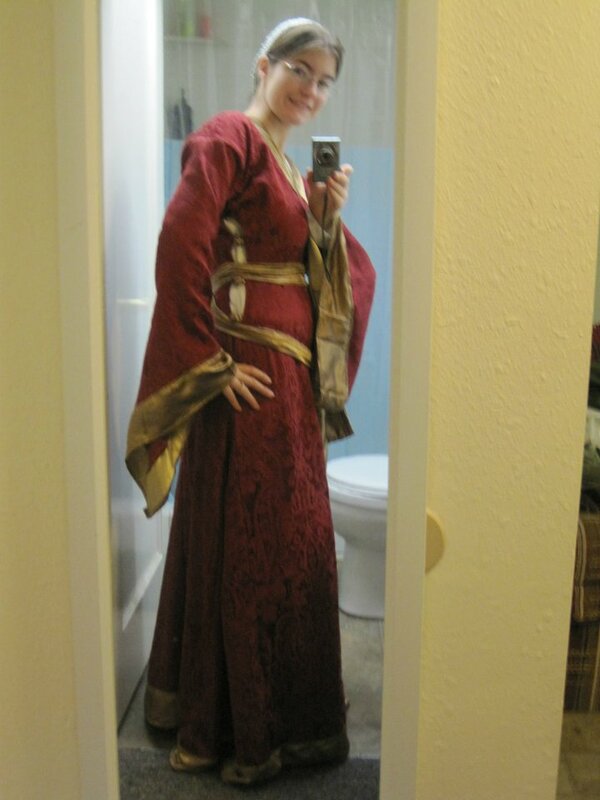 As we liked to say in our college Medieval Club, “If it would make terrible curtains, it’ll make great garb.” And we sometimes literally turned terrible curtains into clothing. I’ve seen curtains, table cloths, and bed sheets become dresses, tunics, and cloaks. This bliaut was once a table cloth and a bed skirt. Of course, most of the fabric goods that turn up at thrift stores are cotton and polyester (which aren’t ideal Medieval European garb). But if you just want a Medieval fantasy look, these are great. Every once in a while you find a nice piece of wool, linen, or a bit of silk for more period garments. It never hurts to take a look and see if you find something. For example, these two nice lengths of wool I found a few weeks ago. They were about three dollars a yard all told. 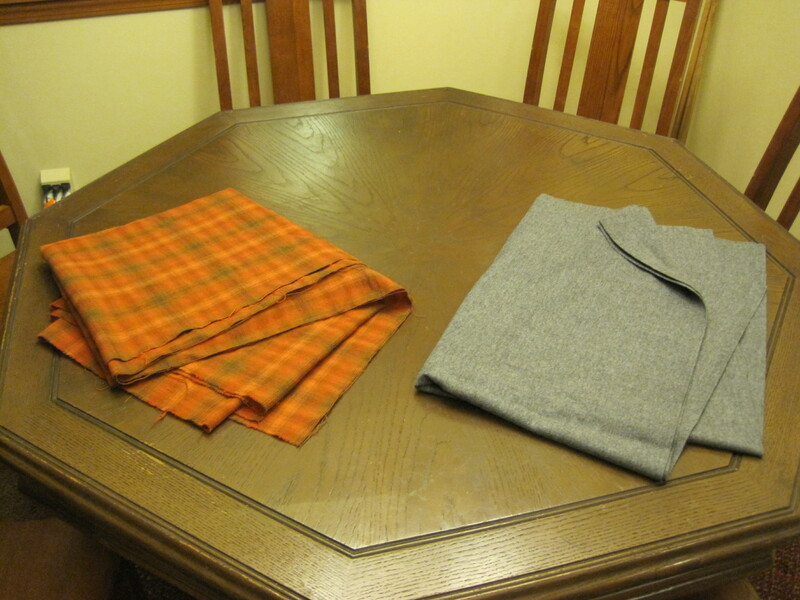 The gray twill is destined for a tunic for my husband. The plaid I don’t think I’ll even cut. It’s the perfect size and shape for a shawl, a viking cloak, or just a blanket.